ACATA News & Events: ACATA Member Movie Pass Giveaway!!! 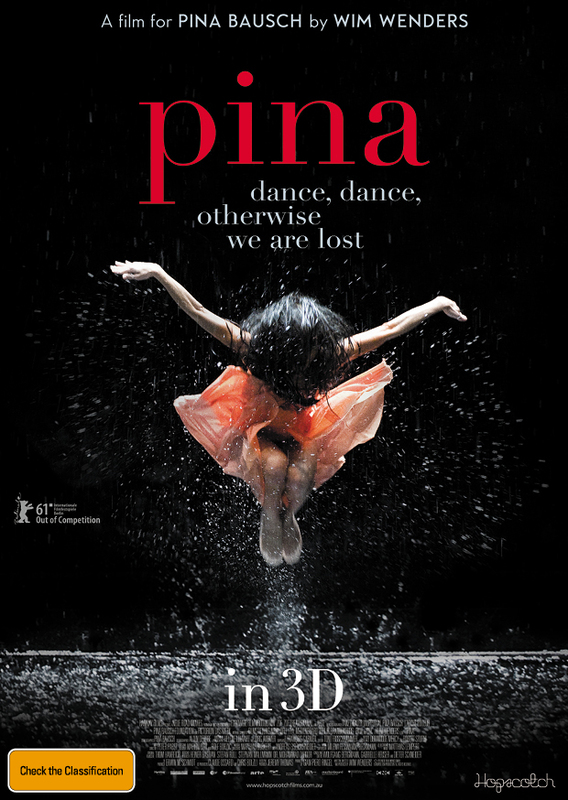 ACATA has 5 double passes for preview screenings of PINA!!! Preview dates Aug 12 to 14. The first 5 members who email ACATA regarding this preview will receive a double pass! Unfortunately, this offer is only available for members living in Sydney, Melbourne, Brisbane, Adelaide, Canberra and Perth. Subject: I want to see PINA!!! If you miss out, the next 30 people to email ACATA will receive a '2 for 1' ticket to PINA. Please note, these tickets are valid from August 18th in the following cities: Sydney, Melbourne, Brisbane, Adelaide and Perth.